SUCCESS THAT WILL BRING GREAT THINGS TO YOU! At times in my life when I was not convinced of things like a bright future and a times of unending treasures, I looked at success as too distant to achieve. "Only famous people are wealthy." How could this actually happen to be? Things have seemed dormant at times in my life. Who am I to dare to hope and dream? But then one day, I happened upon Wealthy Affiliate and things began to change a little bit at a time. I began to continue doing what I love--writing; when my desire had taken a back seat. I began to design websites in a different platform; when my current business seemed out of date and behind the times. I began to get a spark of excitement; when I had begun to settle at my current position. It's funny how one choice to click, one gesture to log on, one certain circumstance after another led me here---to dive right in and have a massive space to spread out and learn, write, design, achieve and live to my fullest potential. All of these things are what WA has given me to redirect my life in a whole new and exciting direction---a direction toward who I am fully capable of and what will draw me to my success. Thank you for this unique opportunity to climb higher. Is success knocking on your door today? Will you let it in? For almost identical reasons and by a similar route I too arrived at the WA doorstep. I don’t quite quite know why, but I chose to give gaining success on the internet one more time. It’s a long, slow road, but I have never felt more comfortable, more welcome and better prepared to succeed as I wish as I do now. You voiced it better than I, so it seems like I am always thanking you for what you do; and I am doing so again. Thanks, George! Glad to connect! Erin you are the poster super woman for success. Amazing all that you have accomplished! Super amazing! Yes We Can! Wow, Ariel--SPEECHLESS, my girl! Likewise! Yes, we truly can! xoxoxoxox! I’m still in my first month but I don’t give up hope that I will be successful in this business venture. I see so many success stories from members of Wealthy Affiliate that I know I must keep the faith and keep steadily working to achieve my goals. Being in your first month means that you have a whole new experience in front of you to begin your MASTERPIECE BUSINESS! You can do anything you put your mind to! Faith opens the door, welcomes you in and abides with you throughout your journey! 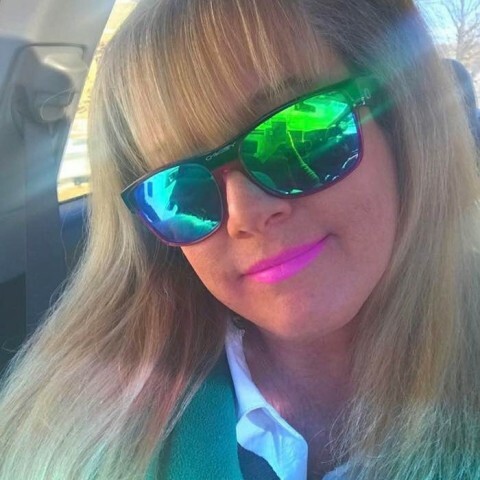 So happy to connect with you and let me know if I can assist you along the way! Awesome, E. Continued success to you and for taking action and continuing to do so, hence results. Thanks, M! I appreciate that! :)! I am ready at any time for success. I am working hard and hoping for the day when success will be knocking at my door. Thanks for sharing. I love your attitude! Way to go! Happy to connect with you! Beautiful!!! I have had success knock at my door many times in many areas of my life to which most has been a true divine blessing from God himself and didn't have to open them except to be open to accepting the abundant wealth of success offered! I consider myself to be successful and wealthy in many ways in which I have never attributed success too before! Now without further delay my next success is financial wealth so that I can do greater things to help save this planet from the toxins man has dumped on it killing the fragile eco system for abundant life. As the saying goes "dream big or go home"
Loving your response! Yes, God is a direct line to success in so many ways. Your reason for succeeding is so commendable and you'll be greatly rewarded for your efforts! Wow... Simply AWESOME! It makes my day..., so please allow me to repeat YOU... " WHO'S THAT KNOCKING? SUCCESS THAT WILL BRING GREAT THINGS TO YOU! " Thanks for sharing some of your journey with us. You must privately know... I would like to emulate "Success at your doorstep" someday sooner than later. That's excellent! I AM Inspired! Thank You. GREAT reply! Ha ha! You're most welcome! I enjoyed writing this post to add a little inspiration to you all! Yep, it's been trying to knock the darned door down, but I have so many "shiny objects" in the way, I can't get to the door to open it! Maybe it'll sneak in when I let the dog out like the cat does! Ha ha, Carol---at any rate, it WILL creep in when you least expect it, so get ready! Have flooring contractor and painter scheduled for tomorrow, so I imagine it'll sneak in while they're working and I can't get to my computer! PERFECT! XOXOX! Love your humor! Thanks. You forgot your HeeHee again...what am I gonna do with you, girl? Now that's what I call a belly laugh! Thanks Erin .. to open the do requires more action less talking , more and more of determination that's when the best is archived. i really love your blog. Very true!!! So glad you enjoyed reading it! I really loved writing it for everyone! Thanks Erin!! Yes and I Will open the door!! Whether it's Publishers Clearing House or success, all will be one in the same! LOL! I guess I can say that success came knocking when I found the email in my inbox. I took the leap of faith and I have been here now a little over a month heading for 2 month anniversary. I am working hard and being persistent and also determined to make this work. Yes, that email was the first step on your journey! Your determination will see it through! Thanks Erin, great post. Were you working in a job when you came to WA or were you already self employed? When I found WA--or it found me--I had my 3 books published and on the shelves and was consistently designing sites for clients, which kept my income flowing--but not to the point of great wealth. Now, besides still writing and web design, I'm doing this, hoping to rise higher, which is working out very well. Thanks for sharing Erin. I struggle being in a full time job and trying to get through all the WA training as well as implementing what I'm learning. I'll get there though, it's just taking longer than I thought it would. I'm impatient to be fully established in my online business. Absolutely, Kim! Dream the full picture and live each moment by faith as you step softly into that dream! Success is really just putting one foot in front of the other and see where it goes. You can decide the direction and the pace once you get going. Here's to us. Yes, it is Judy! There's a song about that!--haha! We will all get to our destinations! Happy to connect with you! When I found WA I was looking for something completely different from what I had been doing over the last 30 years. Something completely out of my comfort zone. WA has shown me that and has proven to me I can do this thing called affiliate marketing. I love to learn new stuff and this fits the bill perfectly. That's great, D! So happy you found your calling! Thanks, Kareen! Happy to connect with you! Thanks, Kimberly! So happy to see you again! Success! What??? Who are you talking to? You sure you got the right house? Thank you Erin, more food for thought! Great post once again, Erin. Similar story, one click changed everything for me too. Since that first click, I haven't stopped clicking :-). I always say that if we work diligently, passionately and focused, success will look after itself. Great thoughts, perfect plan, Hennie!